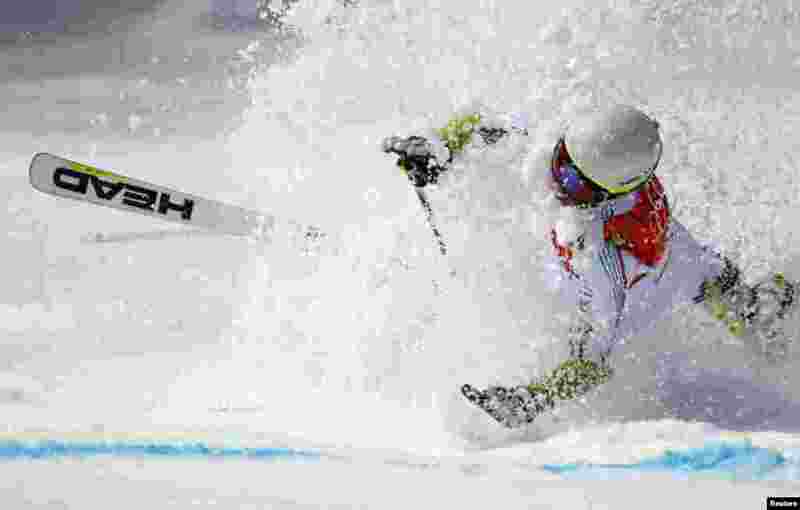 1 Andorra's Joan Verdu Sanchez crashes during the first run of the men's alpine skiing giant slalom event at the 2014 Sochi Winter Olympics at the Rosa Khutor Alpine Center in Russia. 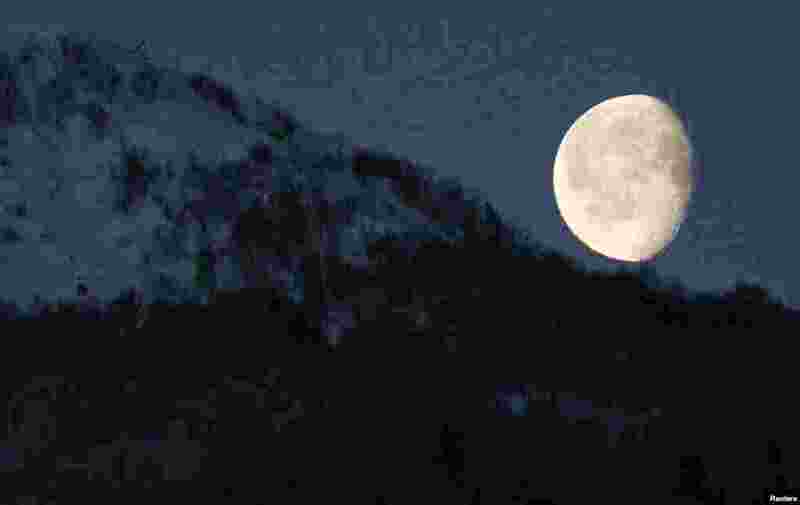 2 The moon is seen above the mountains in Rosa Khutor during the 2014 Sochi Winter Olympics in Russia. 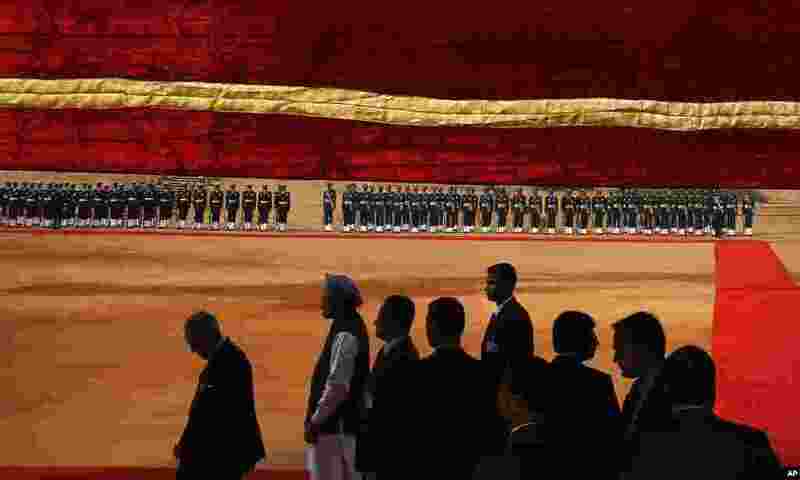 3 Indian President Pranab Mukherjee, left, Prime Minister Manmohan Singh, second from left, along with officials get ready to receive Bahrain King Hamad bin Isa Al Khalifa at the presidential palace in New Delhi, India. 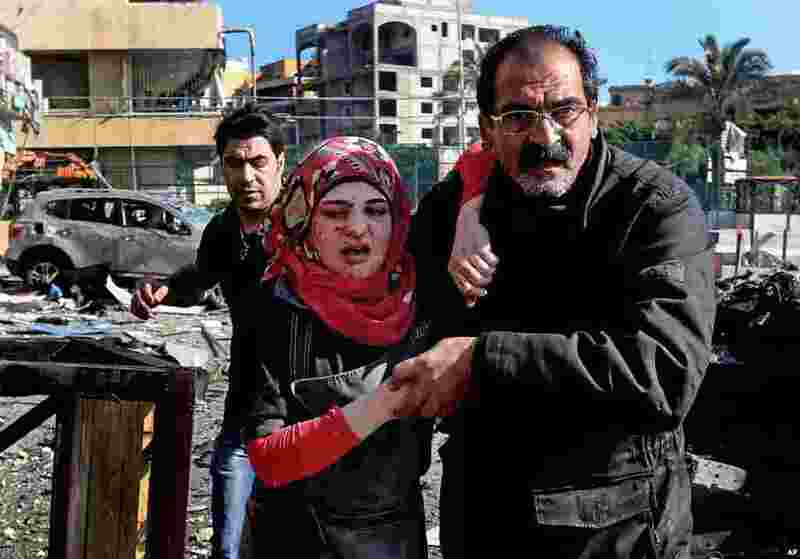 4 A Lebanese man helps an injured woman, as they pass the site of an explosion, near the Kuwaiti Embassy and Iran's cultural center, in the suburb of Beir Hassan, Beirut, Lebanon. The bombing in a Shi'ite district in southern Beirut killed at least six people, Lebanese official news service said.